1. If the frozen spinach has big pieces of spinach, chop it more finely before adding to a big bowl. Otherwise the dip will be stringy. 2. Mix together all ingredients in a bowl and season with salt/pepper to taste. 3. 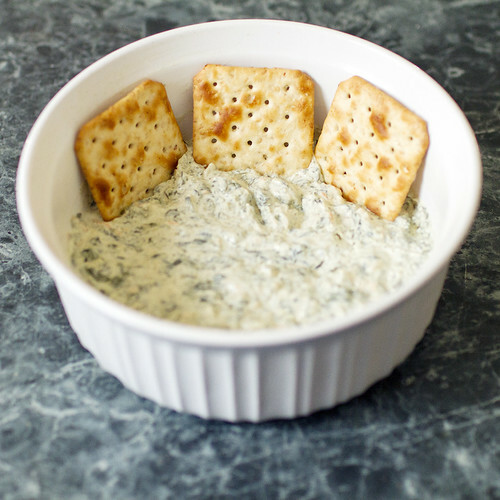 Refrigerate for at least 2 hours or more for the dip to solidify before serving.